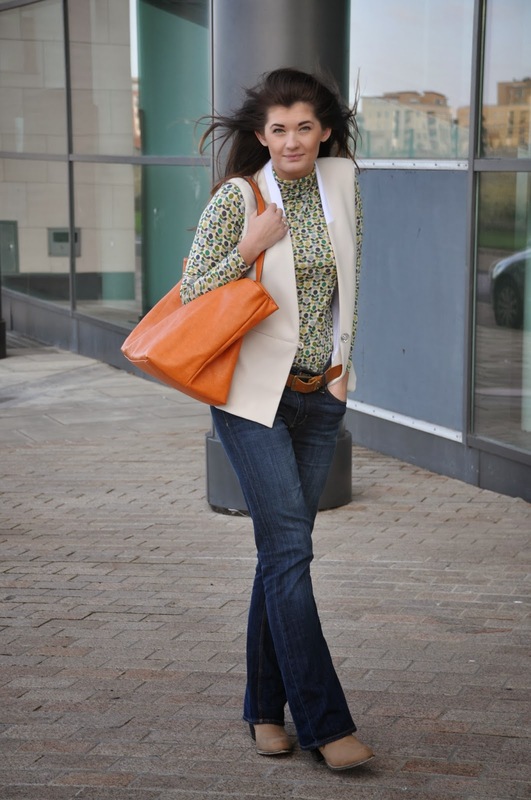 Bootcut jeans & polo neck tops – a no no? I can’t stop thinking that there’s at least 1 person in the world that now thinks I am not to be trusted when it comes to clothes. She’s probably right too..
About a year ago I was asked to do a little wardrobe ‘resurrection’ for someone. When reviewing the contents of my customer’s wardrobe, I realised it’s full of polo neck jumpers & tops. I wasn’t sure how to break the news (it’s never easy) but I strongly expressed my view on roll necks: they are never to be worn by anyone who actually owns a neck. I swore on my own wardrobe that any such thing would not be ever seen even near my closet. What can I say. 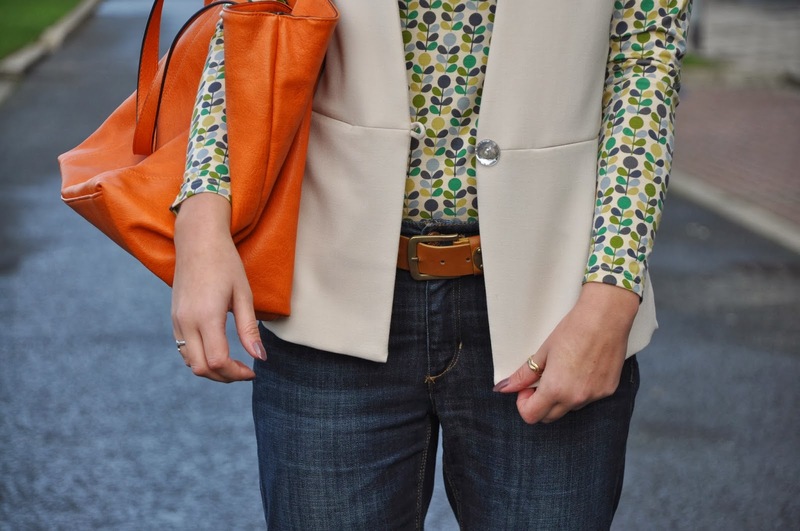 I’m sure I swore on skinnies before as well so it’s only appropriate that I paired my Orla Kiely printed top for Uniqlo with a pair of bootcut jeans. It happened to be the perfect outfit for the crazy weather the day had it in for us. Neck or no, I stayed warm! Check out this cool Google + Hangout with Orla Kiely talking about the collection for Uniqlo! November 10, 2013 in Published as Fashionstylistka. The Zara tote bag is gorgeous!